So I went over to his new place for the first time. It's sort of an interim home until the place he bought is finally finished and ready for habitation. And let me tell you, this current spot is frikkin' miles away. But the unit itself is nice enough ... if it weren't one of 480 or something ridiculous. What is wrong with property developers these days? Give me an old complex with big rooms and plenty of parking any day over these Summercon villages that are taking over the world, where every unit looks identical to 40000 other units around Joburg. Yeah, this place is full of sheep. I can't help but wonder when the styles of today (which are apparently Tuscan, African Thatch and French Provincial ... or things that are supposed to reflect these) are no longer in style and half of Joburg is filled with them. Interesting times coming up, I imagine. Will they just do what they're doing now with all the vast old Joburg homes and rip them down for something new and better? No doubt that's exactly how it'll work. So he braai-ed for the two of us and we settled in to watch Rocky Horror. Me singing along wildly as he watched the cult favourite for the first time. Don't worry, I'm equally flabbergasted, there are people out there who make it to the ripe old age of 25 without ever having seen one of my all-time ever favourite movies. I can't really explain why it is a favourite of mine, The Peeb and I knew all the words to the song before we even knew what the words meant or that there was a movie. We found the tape (yes, cassette tape ... it was a looong time ago!) in Dad's vast collection and started listening to it. Even at such a young age, it quickly became a firm fav. I think I watched the movie for the first time when I was in Standard 4 (Grade 6) ... about 11 years old. And since then The Peeb and I have watched the video countless times, been to see it live in all sorts of different stage adaptations (even an African version is Spier once) and dressed up for it regularly.We both own the CD Soundtrack. I think it's a bit of a family obsession. So Friday evening was fabulous, but made me miss The Peeb and The Divine Miss M (who also shares our uncanny ability to recite the entire script). On Saturday we did some admin stuff and went for breakfast at Europa. 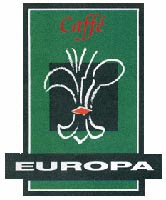 Europa is fab and has one of my favourite sandwiches (I always have one item that I eat religiously at every restaurant ... boring but it's usually when I'm craving that specific thing that I head off to the particular restaurant. At Europa it's their Napoli open sandwich. Yum. And it was just what I needed, I haven't had it in absolute ages. Outer Limits was certainly an improvement on the last time I was there. We tried it one year on my birthday and the food all came out at different times and some food was cold. It was a shocking experience. But I guess that was the restaurant, on Saturday we were at the bar and I've never heard anything bad about that. Once home, I enjoyed a warm bath with my book and finished watching Dexter. Brilliant. 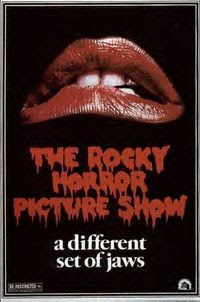 I can completely relate to the Rocky Horror Show obsession - I was raised on that movie. Used to run around nursery school with a newspaper over my head singing "Over at the Frankenstein place" - followed by a rendition of "Sweet Transvestite" - I'm amazed the teachers didn't call in child services!